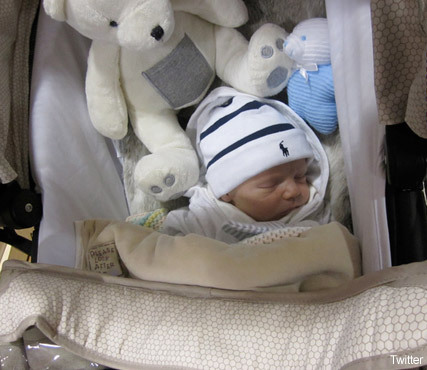 Proud mum Dannii Minogue and her beau Kris Smith took beautiful baby Ethan for his first outing over the weekend, hitting the shops and splashing out in Mothercare. SEE DANNII’S STYLE HIGHS AND LOWS HERE! The pair visited the baby store in Melbourne on Sunday, shopping up a storm, and splashing out on some gorgeous goodies for their brand new arrival. And while his other half browsed the baby section, Kris posted pictures, and kept fans updated on their progress. ‘First day out for the whole family, Dannii running up a storm in Mothercare,’ he Tweeted, alongside a snap of Miss Minogue and baby Ethan in his buggy. 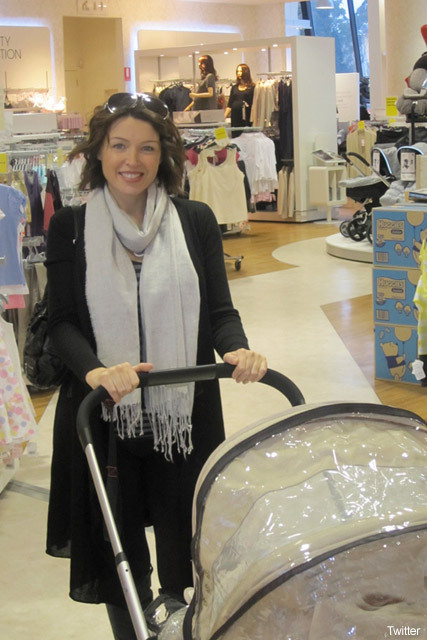 And lovely Miss Minogue looked like she couldn’t be happier, beaming with pride as she guided the pram through the famous mother and baby shop. And it seems their little bundle of joy behaved brilliantly on the outing, snoozing as his parents shopping in the store. ‘Sleeping peacefully, Ethan was amazing as always today…… Such a good boy just like his dad ;-)’ Kris told followers. And it’s a good thing little Ethan’s a heavy sleeper, as it seems his parents had a lot of shopping to do. Meanwhile, proud Auntie Kylie finally touched down in Australia, on the way to see her brand new nephew.